Listen, we hate to sound like Debbie Downers, but getting live flowers is kind of a let down. Yes, they look absolutely gorgeous and smell like a dream — for about two days. After that, they begin their slow descent to a decaying, rotting death that will probably sit in a vase on our counter for about a week too long and start to smell like the inside of a old, sweaty running shoe. Not only that, the sight of a drooping flower with the petals falling off one-by-one into a sad pile reminds us of ET dying, which leads to an inevitable ugly cry — and nobody wants to see that. 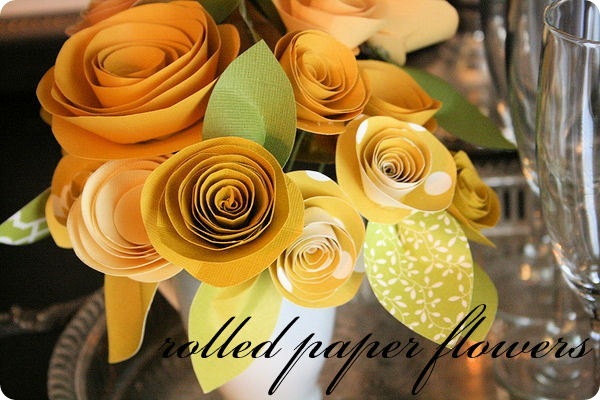 Which is why paper flowers are so perfect. 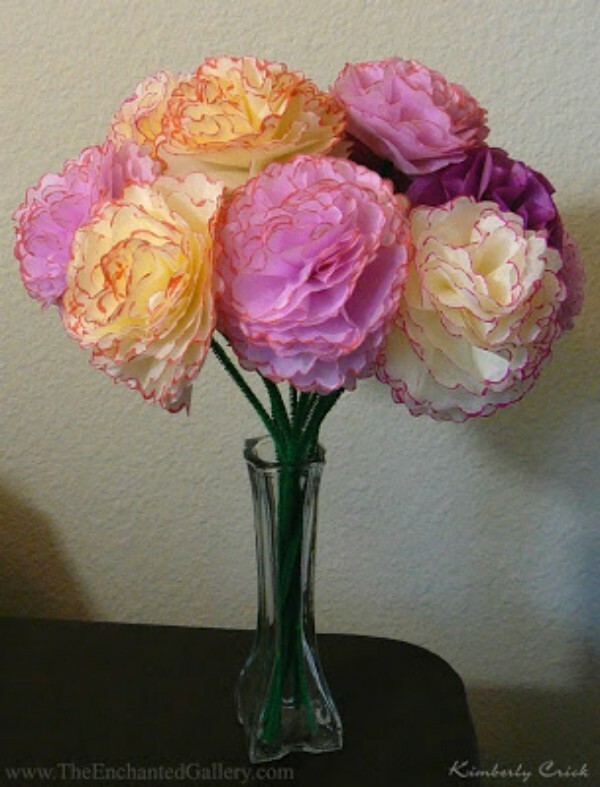 You may think that it’s impossible for paper flowers to look as pretty as the real thing, but you’re wrong. 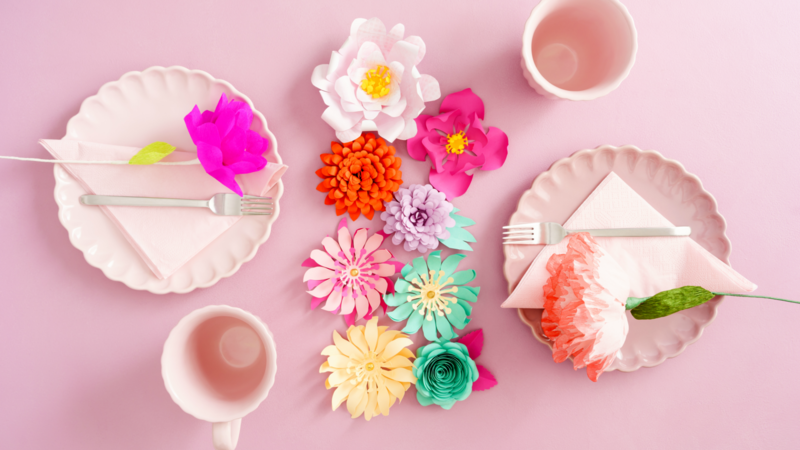 We’ve rounded up all of our favorite paper flower tutorials, so you can make these beautiful babies all on your own. Originally posted September 2016. Updated September 2017. This gorgeous arrangement from Creative Jewish Mom looks great all year round. 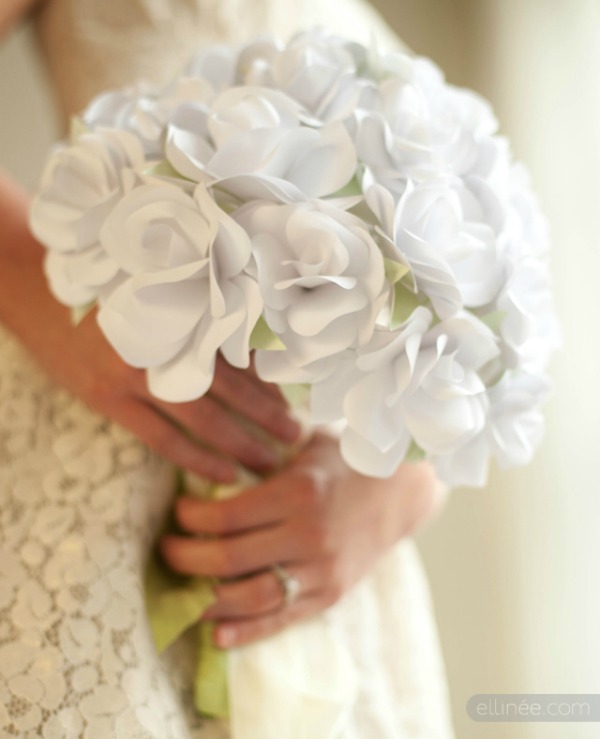 White paper roses are timeless and elegant. 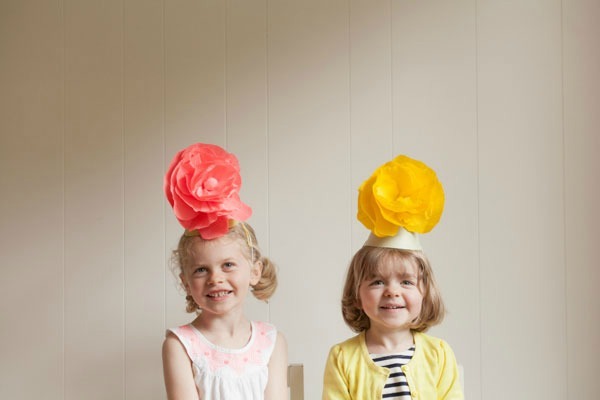 These festive hats by Oh Happy Day are perfect for a tea party. 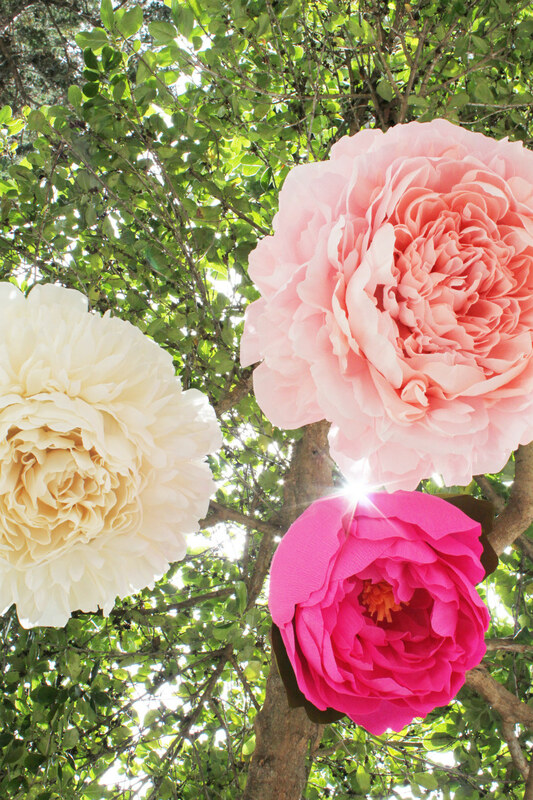 This dahlia wreath is perfect to hang on your door during the winter/spring transition. 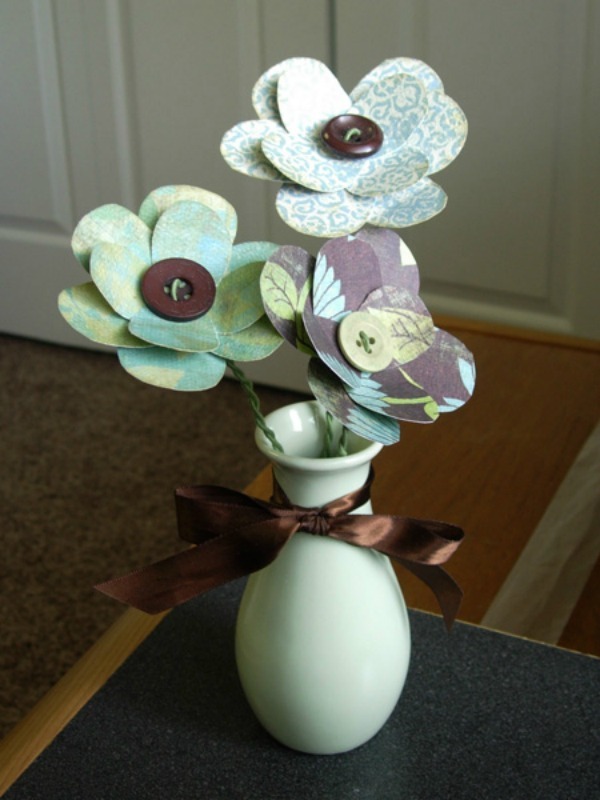 Watercolor paper flowers are very time consuming to make, but the end result makes it well worth the effort. 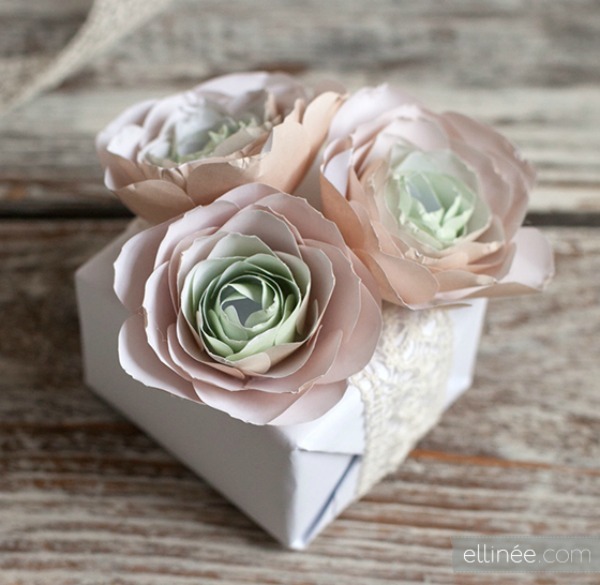 Crepe-paper flowers with a touch of glitter make for an amazing gift box topper. 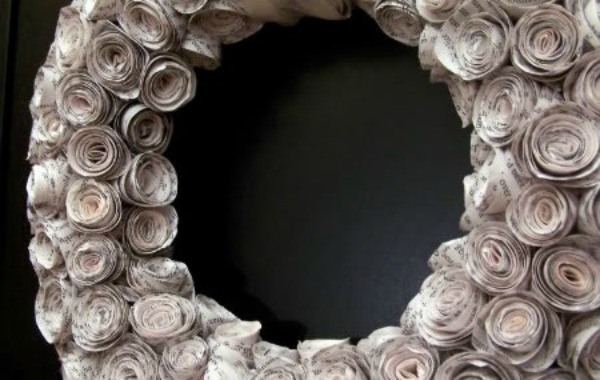 A wreath of roses made from recycled book pages is pretty much a bibliophile’s dream. 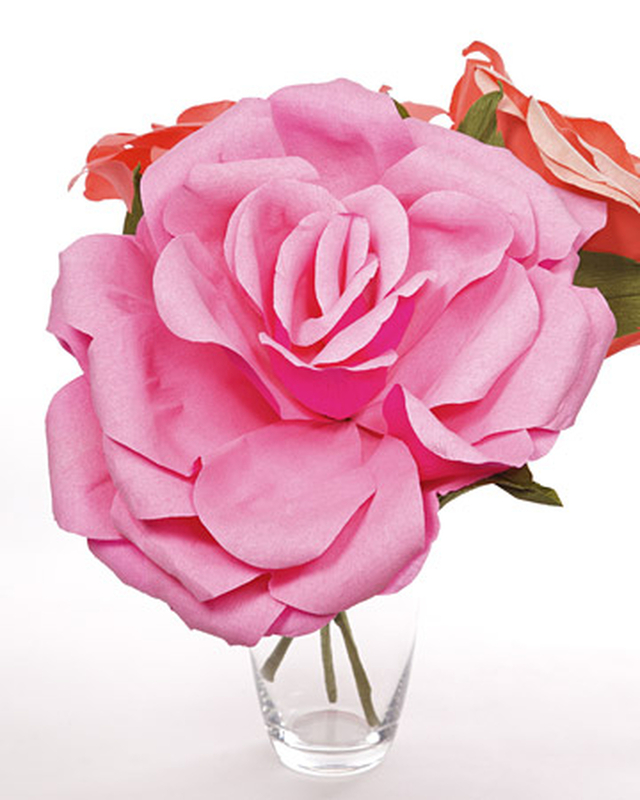 Martha Stewart’s crepe-paper roses are incredibly life-like. 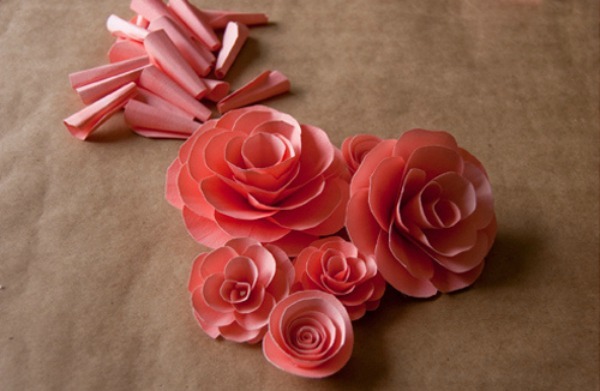 These gorgeous rosettes take little more than paper and a hot glue gun. 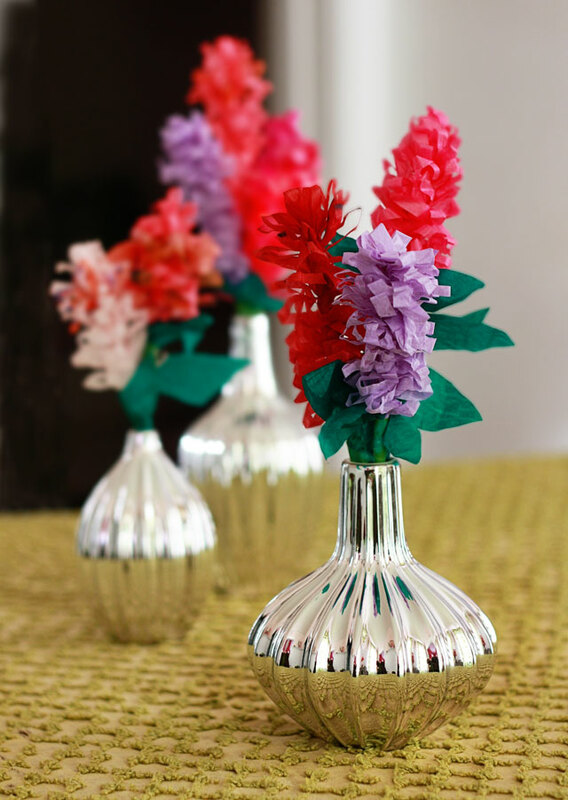 Festive tissue-paper flowers are fun decor certain to liven up any party. 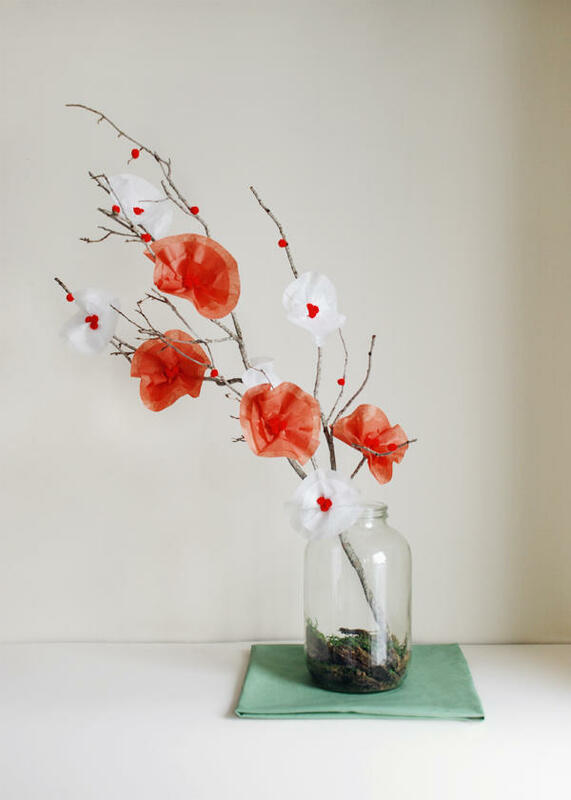 An adorable vase of poppies is easy to put together and looks super cute on your work desk. 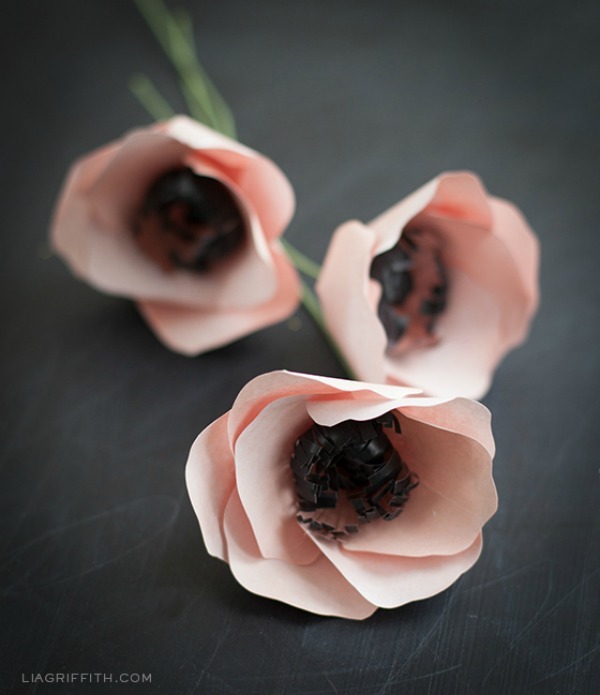 Who knew that a little bit of copy paper could look so much like a real ranunculus? This version of a hyacinth doesn’t smell as delightful as the real thing, but it looks just as gorgeous. 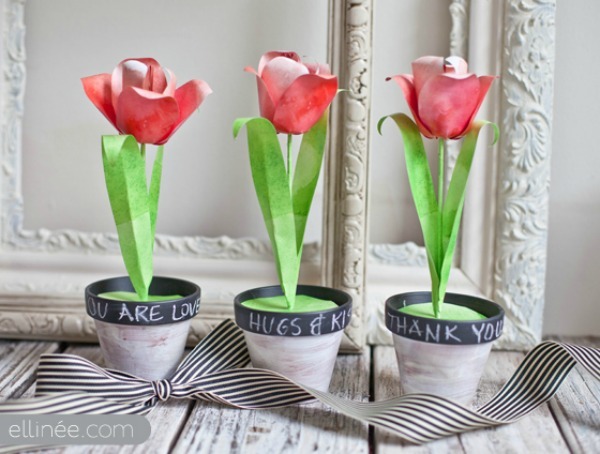 Tiptoe through the tulips with this super easy DIY tutorial. 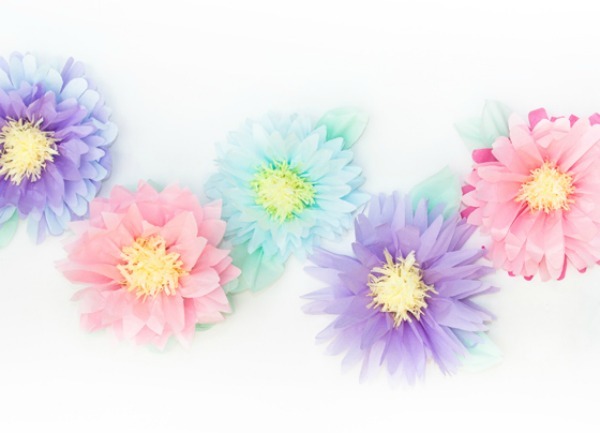 These fluffy creations look just like daisies, and you can easily customize the colors. 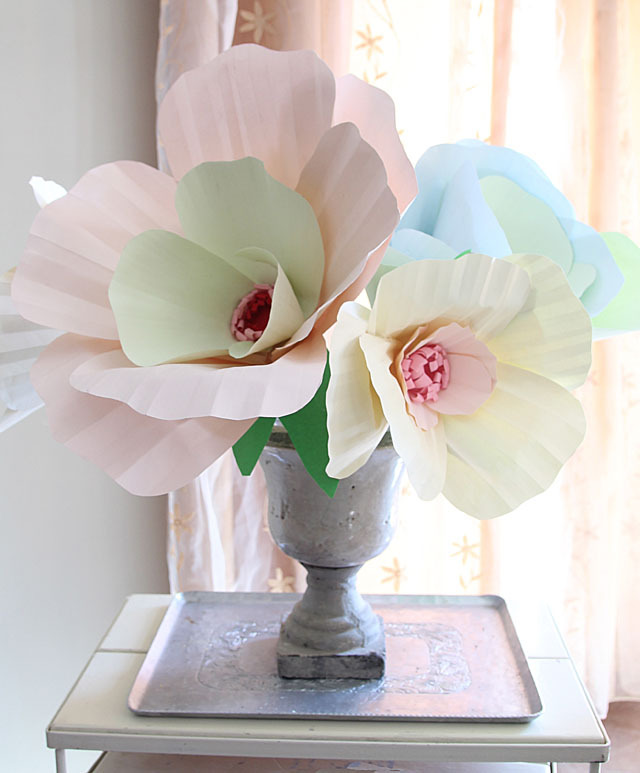 The large size of these giant paper peonies is what makes them so magical. 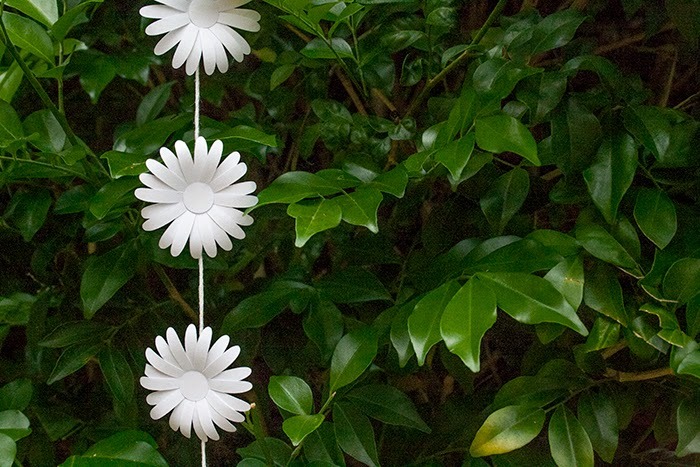 Because who doesn’t love a crown of daisies? 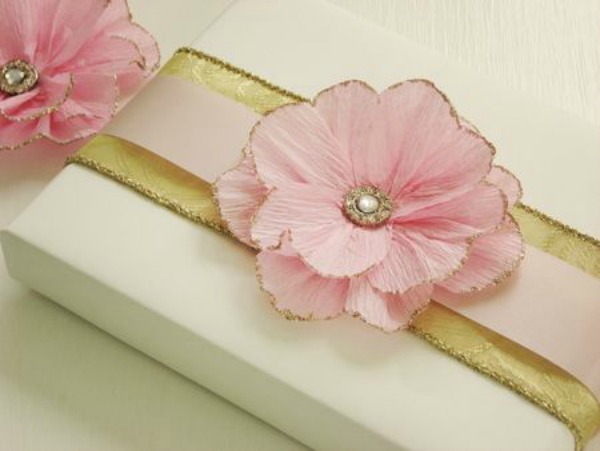 Pale pink anemones are a bridal favorite, and the paper variety look so pretty in a vase. 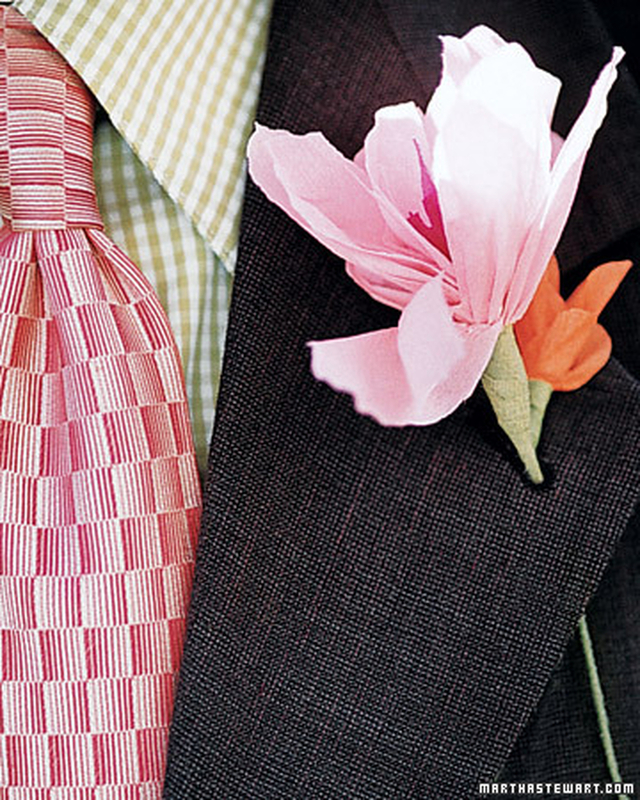 These graceful, inexpensive-to-make flowers look glorious as a boutonnière. Vibrant colors make Once Wed’s cherry blossom wedding centerpiece a real showstopper. 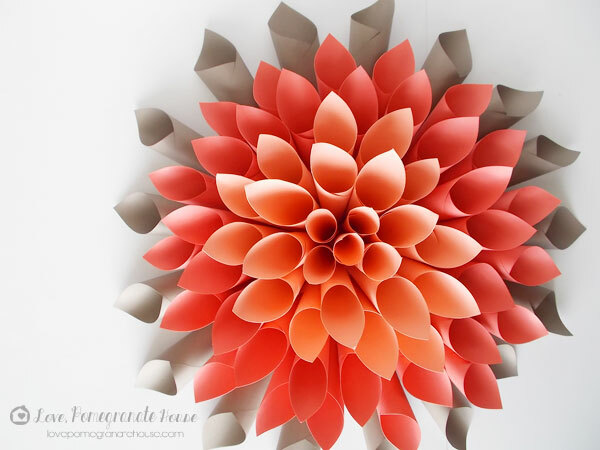 Human-sized paper blooms take some elbow grease, but the outcome is totally whimsical. 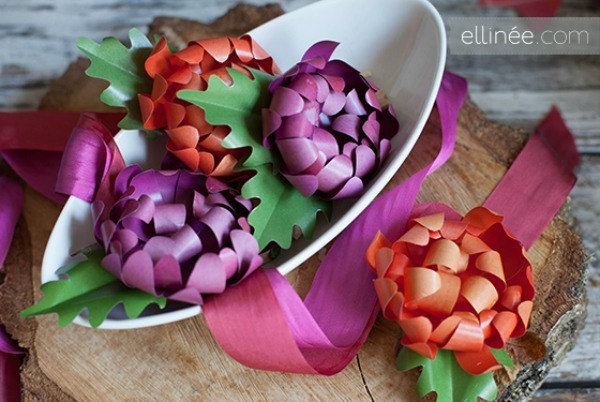 The Elli Blog makes this DIY super easy for you with printable downloads of the blossoms and leaves. 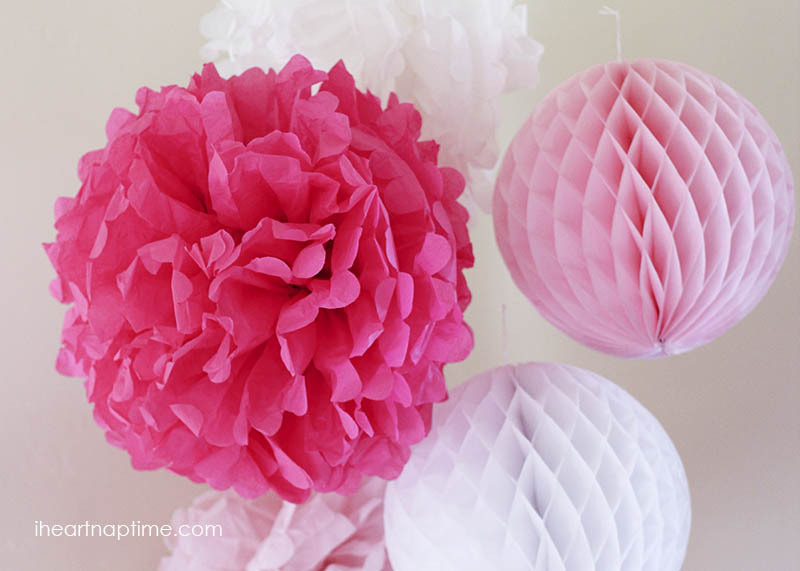 These scalloped edge paper flowers almost look like fresh carnations. 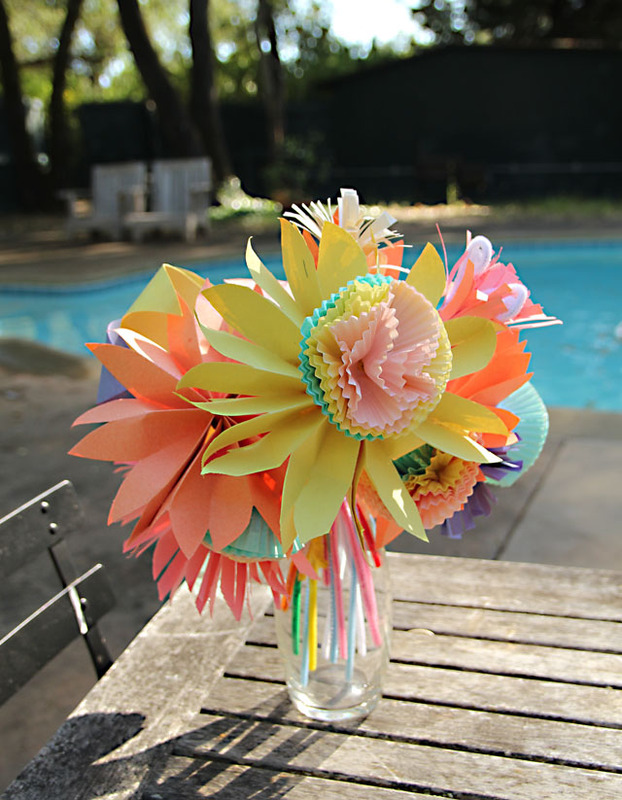 These bouquets made of cupcake liners, pipe cleaners and construction paper will brighten your day in a hurry. 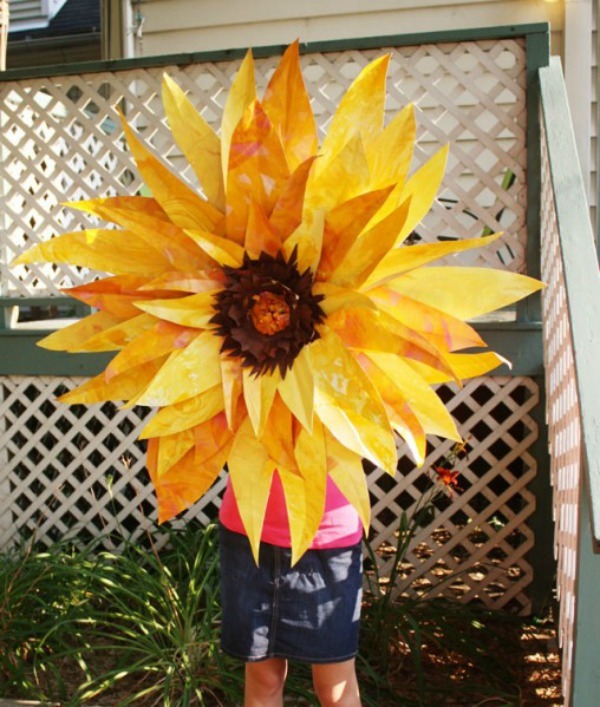 This giant sunflower is super fun, and the best part is you can make it for under $5!